There is nothing better than homemade caramel. 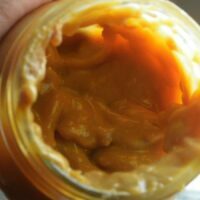 Instant Pot Homemade Caramel Dulce de Leche is simply the easiest thing to make in the Instant Pot. I did mine in a mason jar so it would cool faster but you can make it right in the can. I used mine on my Instant Pot Samoa Cheesecake. 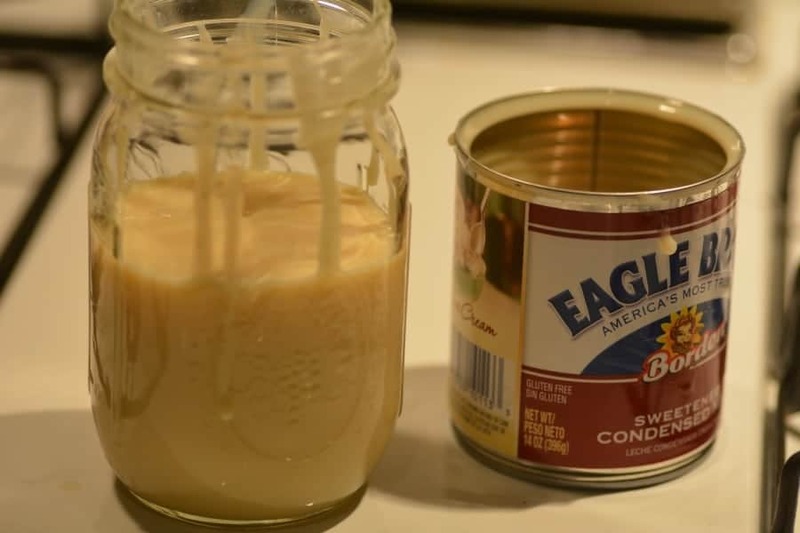 This recipe is so simple you will need 1 can of sweetened condensed milk and a mason jar with a lid. 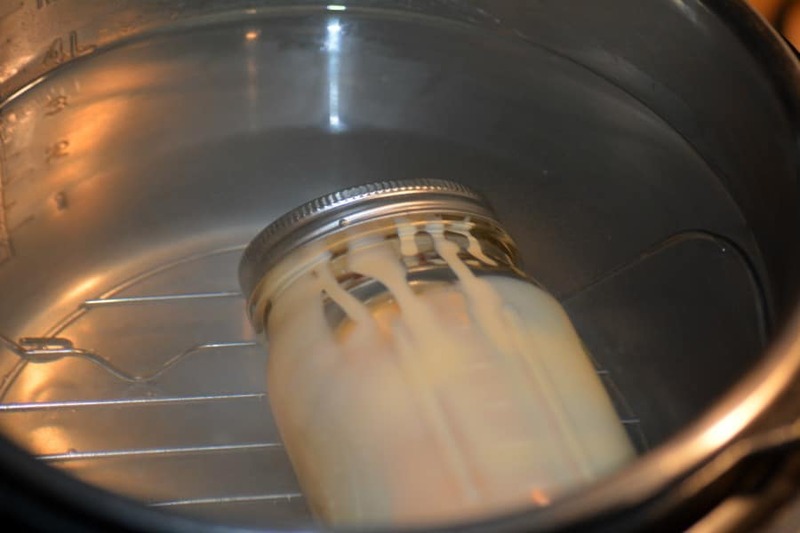 Pour the sweetened condensed milk into the mason jar and seal the jar. Place the jar on your trivet and completely cover the jar with water. I filled my pot right to the 4L level. Turn your instant pot on Manual High pressure for 30 minutes. 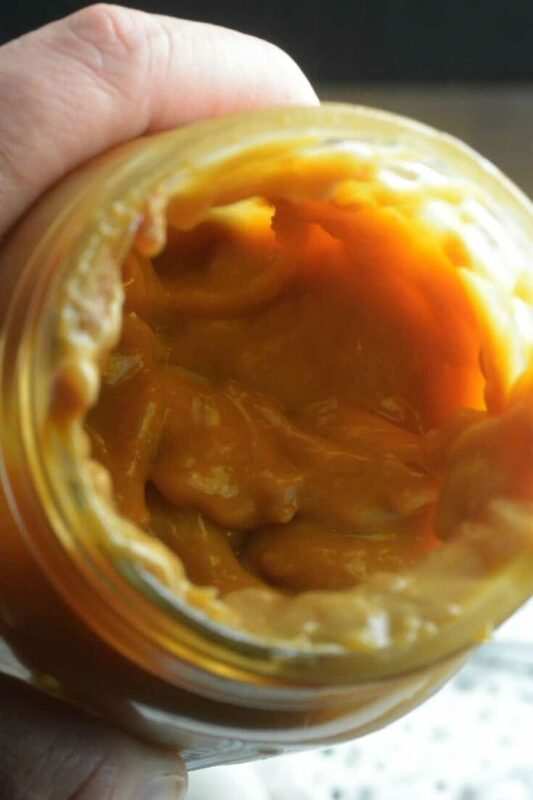 Do a quick release and allow your jar to completely cool before removing from water about 1 hour. Pour into a mason jar. Put on a trivet completely cover with water. Manual pressure for 30 minutes allow to cool for 1 hour. This looks delicious. Everyone would just love this for one of our holiday suppers. If doing 2 cans do I just increase cook time? Made this last week and the kids and husband loved it so much I didn’t get a chance to actually use any lol. They ate every last drop right out of the jar! Brilliant! If I want to do 2 4oz mason jars should I reduce cooking time? One other question: Since this will be sterilized by the cooking process, and assuming the jar seals, would it be safe to store this in the pantry at room temp or included it in a gift that will not be refrigerated? I’m wondering this too. I’ve found myself in possession of hundreds of 4oz mason jars and was thinking of making a few every week to save as holiday gifts. Theoretically, it’s pasteurized product that you are re-sterilizing in clean jars. The ones I’ve made fully seal as soon as the iPot lid comes off. I certainly don’t want to make anyone sick, but you could say the same about any home-canned product. This might be a ridiculous question but I am new to the IP. How does this process not cause the mason jar to explode? I would be so scared to put glass in the instant pot! Sorry, my last post had my old email address on it! does it need to be kept in the frigde? We used to make this when I was little, by boiling the can — not even opening it first. i dont underrstand where is the caramel?